Who is « CyberDodo®, the Defender of Life » ? Who are the organisers of « CyberDodo®, the Defender of Life » ? How is the « CyberDodo® » trademark protected ? Why was the CyberDodo Global association established? « CyberDodo®, the Defender of Life » is a universal spokesperson with the advantage of a unique position: CyberDodo is free from any and all associations related to race, social class, nationality, religion, political affiliation or gender. The name “CyberDodo®” and the concept “Defender of Life” were created and established by Manuel M. Martin – www.e-martin.org and www.archihab.com. Manuel was born in Geneva (Switzerland) in 1961 and is the proud father of four boys. Following a successful 12 year international career in architecture, in 1994 he decided to sell his company, consisting of 3 offices (in Geneva, Montreal & Lyon) in order to be able to give free reign to his creativity. Up until 1995, Manuel devoted his energies to handing over the reins to the new owner of his company then, as of the beginning of 1996, devoted himself wholeheartedly to the project that was to become “CyberDodo®”. As stated above, he created the concept “CyberDodo®, the Defender of Life”, in which his role is that of Creative Manager or Creative Director. 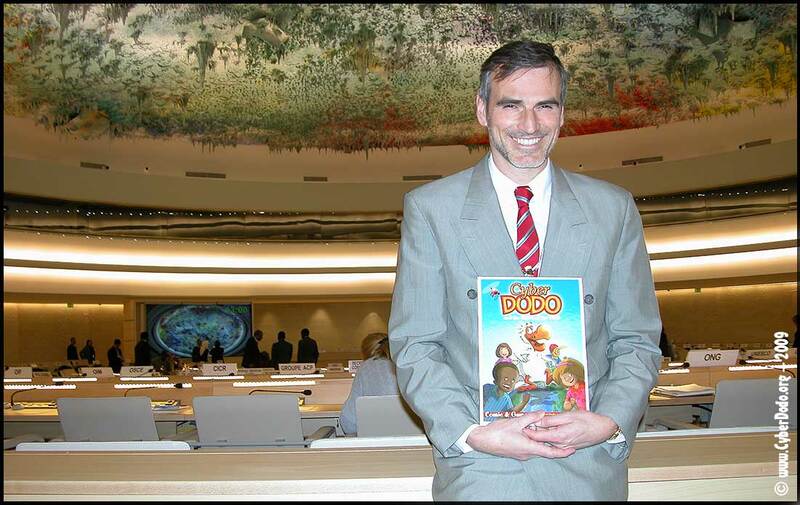 He was responsible for establishing the groundwork for its global development (Branding, rights, partners), defining a strategy (community website, educational trilogy, field action etc…) and also writing and producing the “CyberDodo ® and the Rights of the Child” series. Manuel has been a writer since the age of 17, including notably for “La Tribune de Genève”. Manuel published his first novel, “Genia”, in 1998 in collaboration with Editions du Rocher, Paris, which was awarded the French 1998 Suspense/Adventure Novel Grand Prize “Grand Prix Suspens et Aventure 1998”. In order to ensure that the structure of the humanitarian activities of CyberDodo was in place, he established the NGO CyberDodo Global in Monaco as well as the sister NGO CyberDodo Switzerland in Geneva. Future ambitions of Manuel M. Martin and the team of volunteers that work with him are to extend the dissemination of the global message of respect and conservation of CyberDodo (Rights of the Child and the Environment) because, sadly, it is common knowledge that the need continues to grow each year. Another ambition is to develop innovative partnerships (Governments, NGOs, companies, etc) in order to increase the essential sources of revenue needed to implement various activities carried out by CyberDodo (on the internet and in the field). An example of this type of action is the Archihab office (Architecture & Habitat) which has decided to donate all its profits to the humanitarian activities of CyberDodo. 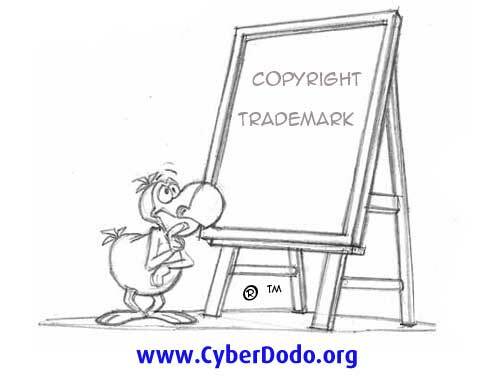 The « CyberDodo® » trademark was originally registered in Monaco and moreover duly registered at the World Intellectual Property Organization in Geneva, under the form of a verbal trademark registration (WIPO registration no 749 922 + national trademark registrations). Likewise, all « CyberDodo® » productions enjoy due protection falling to them on the basis of authors’ rights. ‘Give a man a fish and you feed him for a day. Contrary to many of the usual timely interventions which fight against one abuse or defend one specific right (irrespective of whether this has to do with children’s rights or the environment), the CyberDodo initiative aims to inform, build awareness and educate children and their families on all of their rights and duties. ‘If you defend a right, the situation will improve temporarily.